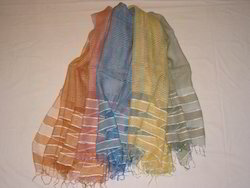 We are engaged in manufacturing and exporting an alluring array of Silk Blend Scarf hat is used to drape around the neck. 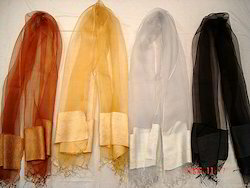 Our silk blend scarves give a feel of grace and style that is blended together. 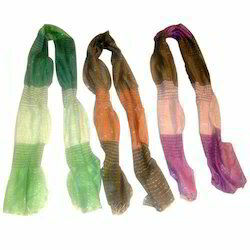 These silk blend scarves are crafted using quality fabrics to make these durable in quality and skin friendly. 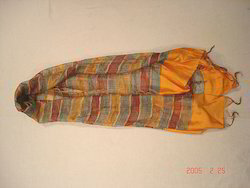 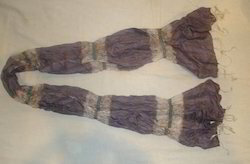 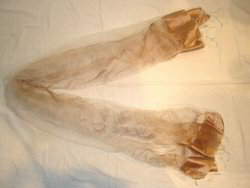 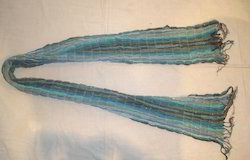 Moreover, these silk blend scarves have well stitched or interlocked edges. 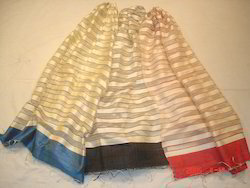 Offering wide range of Silk Blend scarf on Sale. 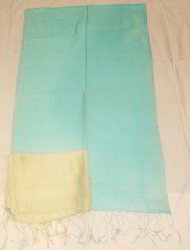 Our clients can avail from us an exclusive range silk blend scarf (FC-AS-867) that is offered in numerous attractive designs and prints. 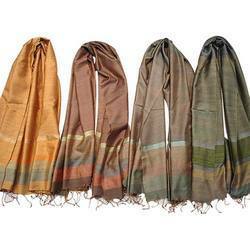 These 70% silk & 30% viscose silk blend scarves are excellent examples of the craftsmanship of the designers and artisans, employed at our organization. 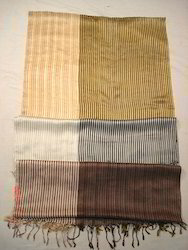 Our offered collection of 55 x 180 cm scarves adds style and unique flair to wearer's personality. 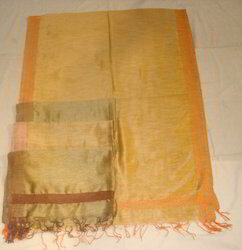 We are offering an exquisite collection of silk blend scarf (FC-AS-868) that is crafted using 60% silk & 40% viscose, which makes it easy to wash and maintain. 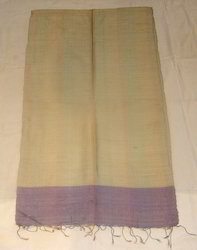 These 55 x 180 cm silk blend scarf are simple in design and elegant in look, and thus these are widely popular amongst our fashion conscious clients. 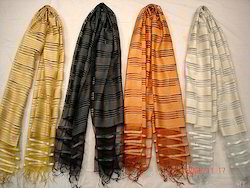 We offer these silk blend scarf in new and stylish look throughout the year to keep pace with the changing market trends and demands. 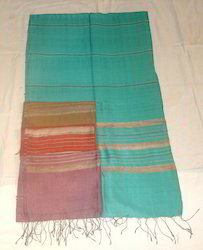 We are offering a broad range of silk blend scarves (FC-AS-167B) that is crafted using 70% silk & 30% viscose. 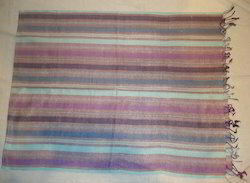 These 55 x 180 cm silk blend scarves are available in variety of designs, sizes and patterns. 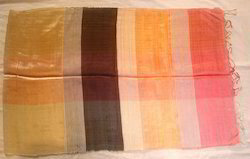 Moreover, custom designing of products is also done as per the requirement of the bulk buyers. 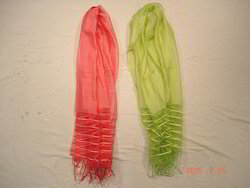 We bring forth a wide variety of 100% silk blend scarves (FC-AS-01) that is available in bright colors and exotic designs. 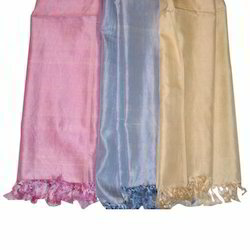 These 55 x 180 cm silk blend scarves can enhance the look of any attire. 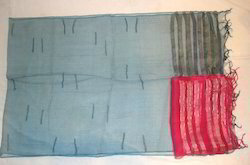 It is owing to the rich expertise of our craftsmen that enables us to provide beautiful designs, patterns and prints, which help in enhancing the look and feel of our range of scarves. 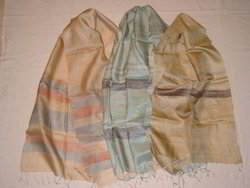 Offering an exclusive range silk blend scarf in numerous attractive designs and colorways. 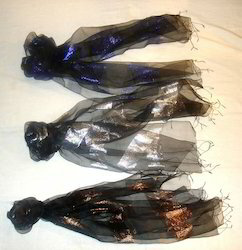 These are mostly 70% silk & 30% viscose blended scarves. 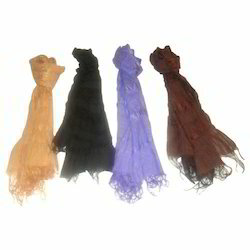 Offering an exclusive range silk blend scarf in numerous attractive designs and color ways. 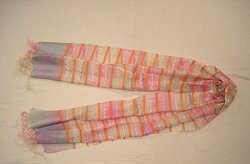 Looking for Silk Blend Scarves ?